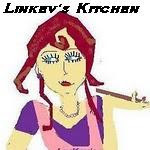 This blog is all about cleaning tips, food tips, kitchen and cooking tips, some recipes, and other postings. My recipe blog http://linkevskitchen.blogspot.com click on image below to be directed to my recipe blog. You've got plenty of reasons to want a clean and fresh home: you are preparing to sell or rent your home; you are moving into a rental or previously occupied place; You're not moving, but it's been a while since your home was thoroughly cleaned; you have children; you have pets. Whatever the reason, chances are you are also busy, stressed, and short of time. So before company comes or the realtor drops by; before you move into that new place; and before the new baby arrives, try some of these 10 ways to freshen and clean your home quickly and easily. Use baking soda: Always keep a giant box of this miracle stuff, along with smaller boxes, on hand. You may not even notice certain "home" smells anymore, but visitors will. Sprinkle the baking soda on carpets and rugs, leave in place for a few hours, and vacuum it up. Sprinkle baking soda in the bottom of trash and garbage cans. Open the small boxes and put them in the refrigerator, or in a mildewy bathroom. Counteract cigarette smoke: Kill the smell of stale smoke by leaving a bowl of vinegar on a tabletop or counter. Quick fix for musty and moldy smells: For closets or bathrooms, add a drop of vanilla extract to a cotton ball and leave it in a hidden corner. Or try a drop on the closet or room's light bulb. Fast way to a fresh scent: If you like the perfume of fabric-softener dryer sheets, just leave one out in a bathroom wastebasket or on a shelf. Spot clean: Brighten up surfaces quickly and easily with a cleaning pad, such as Mr. Clean® Magic Eraser®, or an all-purpose spray cleaner such as Mr. Clean® Multi-Surfaces Spray Cleaner, and a cloth. Eradicate finger marks on (and around) light switches, doorknobs, cabinet knobs and drawer pulls, door edges and stair railings. Just keep a cleaning pad with you, and when you see wall marks, delete them right away. Change the light bulbs. Chances are your home lighting is a mix of old, possibly low wattage, incandescent bulbs and aging compact fluorescents. And old, dusty bulbs throw off even less illumination than when they were new. Your entire home will instantly look better if you switch out those dim bulbs with new, full-spectrum or "daylight" bulbs. These days you have a wide range of choice in style, wattage and color of illumination. And although compact fluorescents are initially more expensive, they last much longer and save more energy than traditional incandescents. Declutter: Take a large box; remove every other object from every horizontal surface-the mantelpiece, coffee table, window ledge, counter, etc.-and put them in the box. In other words, if you have 11 framed photos on the mantelpiece, remove 6 of them. If you have 8 throw pillows on the sofa, remove 4 of them. Be ruthless. When the box is full, close it and shut it away in the closet. Get another box: any object resting on the floor (shoes, magazines, DVDs, toys, gym bag, craft project, etc.) goes into the box, and the box goes into the closet. (If a family member wants to know where something is, just say: "If it was on the floor, it's now in the closet.") Now turn around and survey your calm and spacious domain-doesn't it look much better? Run an air filter. You'll be surprised at how much clearer and clean-smelling your home will seem, without even doing any of the targeted deodorizing steps above. A good electric air filter really does remove pollens, dust and minute debris from the air, so if you have allergies or asthma, it'll help make you feel better, too. Clean the windows. Ten minutes with a glass-cleaning spray bottle and some paper towels will give you sparkling windows and lovely light in your home. Try doing one room or even just one window at a time. Clean windows make a big difference in the look of your home. Go on pet patrol. You can't live without them, but you can live cleaner with your pets if you apply some diligence. Get your cat, dog, rabbit, or other hairy pet on a brushing and shampooing schedule that is appropriate for its type. Keep white vinegar, as well as cleaning products formulated specially for pets, always on hand and immediately attack any pet clean-ups, from vomiting to spraying to training accidents. Make sure your vacuum or carpet sweeper does the best possible job on pet hair, or cover your upholstered furniture with washable slipcovers...and remember to wash them regularly. If you don't want to spring for slipcovers, drape a king-size flat bed sheet over the sofa, tucking in and pinning the corners for a casual-chic look. Throw the bed sheet in the washer once a week.